Deeds Not Words: Getting S#!t Done! Each year the MPA has historically picked a theme for its AGM, this year it’s ‘Deeds Not Words’, a phrase coined by the suffragettes. We’ve chosen this theme not only to mark the suffrage centenary but also because we want to champion those men and women who are less about “talking” and more about “doing”. At the AGM we will be taking a look at some of the MPA’s achievements from the past year but we also want to take inspiration from elsewhere and celebrate those who have gone above and beyond in their field and created something from the ground up. The panel will discuss such topics as their challenges, their opportunities, the future and it impacts on women, how music has impacted their lives and much more. We will take a look at how far they’ve come and also take a look at how much there’s still to be done. We are so thrilled to be joined by four incredible women all of whom have shaped the world through different means, whether through advocacy or more direct forms of engagement. Get to know more about our panellists below. This is sure to be an extremely inspiring and thought-provoking panel and one we hope can influence real change within our industry and the music publishing community. 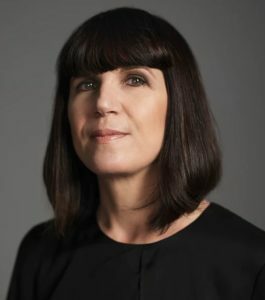 Catherine Mayer is an author, activist, journalist and the co-founder and President of the Women’s Equality Party. Her books include Attack of the Fifty Foot Women: How Gender Equality Can Save the World!, the bestselling biography Charles: The Heart of a King and Amortality: The Pleasures and Perils of Living Agelessly. She served as the elected President of the Foreign Press Association in London from 2003-2005. She is on the founding committee of WOW—the Women of the World Festival and was a judge for the 2018 Women’s Prize for Fiction. Rachel Coldicutt is CEO of Doteveryone, a think tank that champions fairer technology for everyone in society. She has spent the last 20 years turning emerging technology into products and services and helped many organisations adapt to the digital world. 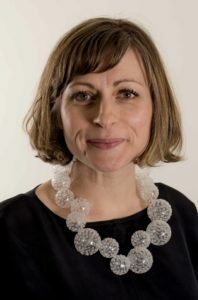 She has created and delivered large-scale content-driven services for Microsoft, BBC and Channel 4, was a pioneer in the UK digital arts sector, and has consulted for many FTSE companies across a range of sectors including finance, energy and healthcare. She is also a trustee of the Fawcett Society. Marie Benton is the founder and CEO of The Choir with No Name, a charity running choirs for homeless and marginalised people. 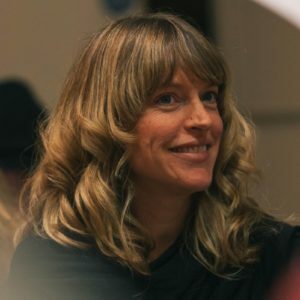 At the time of launching the first choir in London ten years ago, she was a professional musician and choir leader, as well as a senior project worker at homeless accommodation provider StMungo’s. Having felt that homeless services often lacked a sense of fun and humanity, she combined her personal experience of the benefits of communal singing with her professional knowledge of the needs of people who’ve experienced homelessness, and so the first Choir with No Name choir was born. She has since overseen the launch of further choirs in London, Liverpool, Birminghamand Brighton, collectively reaching over 800 homeless and vulnerable people every year. In between running the charity and bringing up her two small children, Marie is a proud feminist, a David Bowie fan and a recent convert to mindfulness and meditation. Music Producer, Musician and DJ Paris Cesvette is the most unique & freshest force in house music right now. 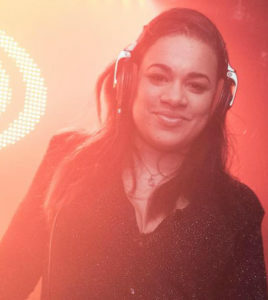 Her stylistic and bumpy sound has made her a trailblazer in combining Neo-Soul & Smooth Jazz to deep dance floor beats. In her discography, you will find Will Downing, Terry Hunter,nFrank McComb, Kim Waters, Little Jimmy Scott, Junior Giscombe, Brandon Williams, Omar Lyefook and many more. When she is not making music she is breaking it as an International DJ and radio host. Enjoy her No1 chart-topping album “Celestial” Out Right now! !